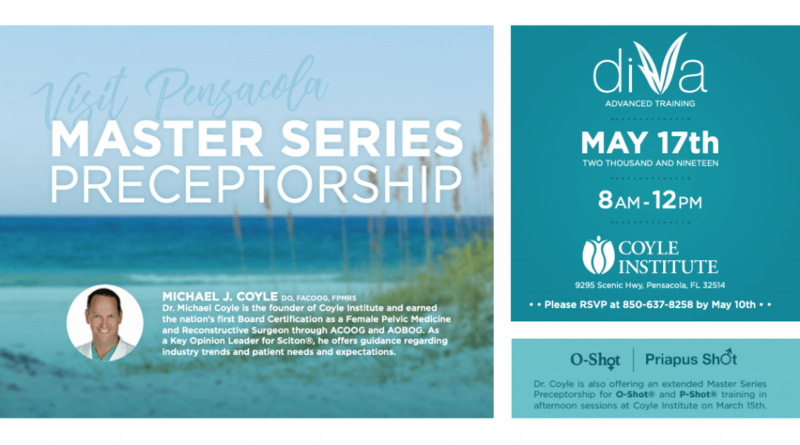 Dr. Michael Coyle will be hosting a Sciton diVa® preceptorship on May 19, 2018 in Pensacola, FL. For more information, and to register, visit www.sciton.com. Dr. Michael Coyle speaks on Hybrid Fractional Laser Treatment of Genitourinary Syndrome of Menopause at the ACOOG 85th Annual Conference.